The Center for Disease Control estimates 6-12 million cases of lice occur each year. No wonder lice removal is a billion-dollar industry. While many mothers prefer organic, all-natural products like Fairy Tales to protect their precious babes from these nasty bloodsuckers, the media had a distinct bias against natural products that make medical claims of lice prevention. After years of frustrating attempts to garner media coverage, Fairy Tales picked our firm to develop a strategy for generating mainstream exposure of a non-pharma, “alternative” product. A. Lavin Communications was able to garner coverage prior to the back-to-school lice season with a survey on sleepaway camps, where lice outbreaks frequently occur. Our SurveyConnect team conducted a proprietary opinion survey of camp owners who indicated that kids arriving and leaving with lice is a significant issue. The results received widespread national publicity, particularly in parents magazines and national media. 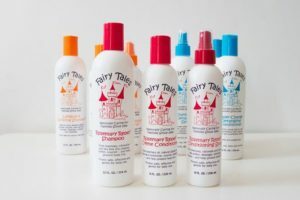 More importantly, it encouraged parents to be nit picky about sending their kids to camp with preventative lice shampoo and created better awareness among camp owners to stock their infirmaries with the Fairy Tales products.